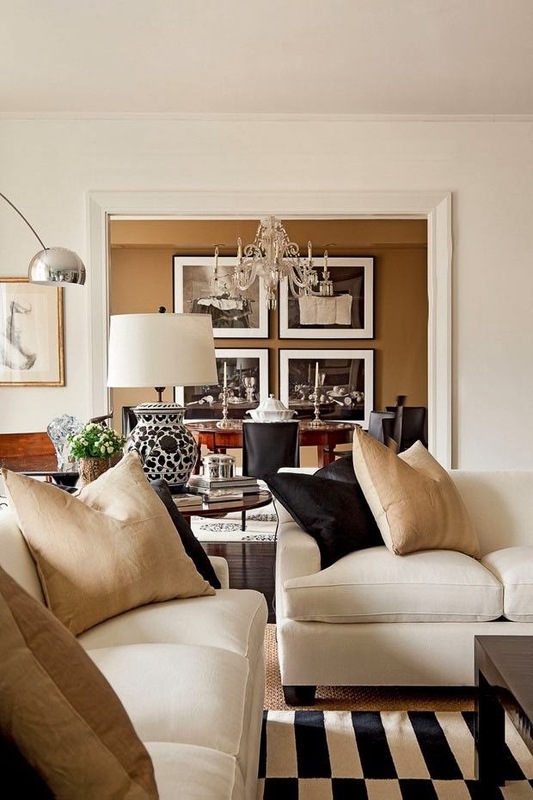 This week's fabulous room is a chic, inviting living room by Brazilian design firm, Bick Simonato. I love the pared down black and white palette. 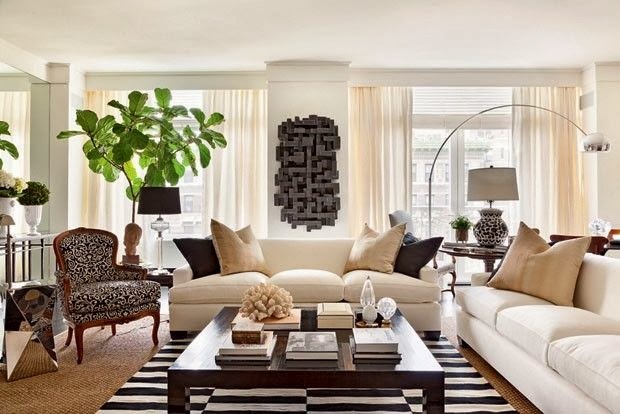 Rather than feeling stark, it feels warm and luxurious when accented by shades of cream and a mixture of textures-- a sisal rug, a piece of coral, a fiddle leaf fig tree. 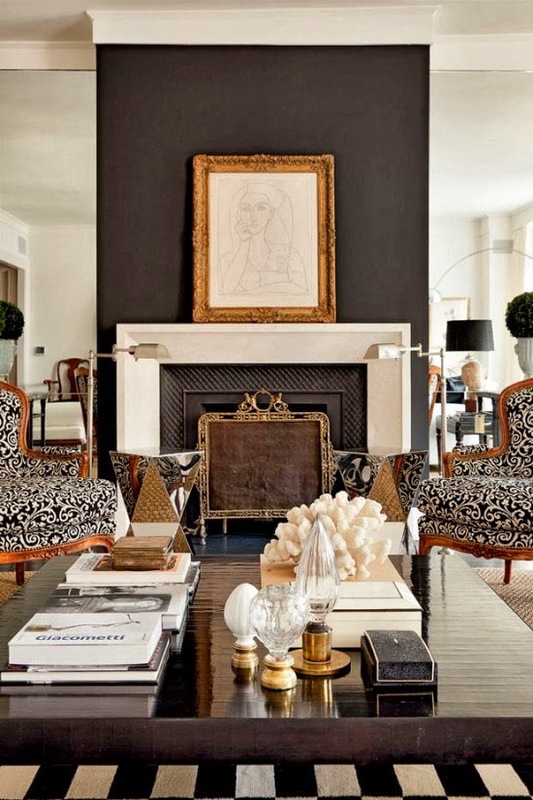 The striped Madeline Weinrib and Madeline Weinrib upholstered pair of Bergere Chairs add a dose of modern glamour to the space. I love that this beautifully layered room is beautifully designed, but feels completely livable and accessible. Wow, this room is amazing!! Love the black and white! What is the name of the wall color in the dining room? It's beautiful.